Major update, huge thanks to NcRaiders as always for some awesome work. 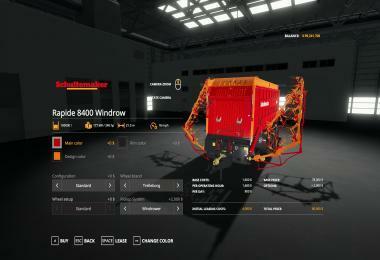 He was able to get the windrowers worked in to the mod as an addon option in the store. 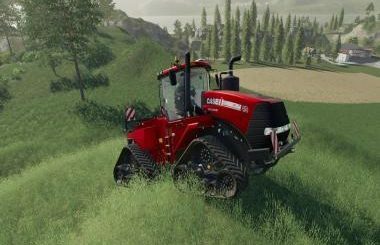 By default the wagon will have the windrowers with a 21m width. I set the price to 78k and the addon is 2k. With all the updates, it wouldn’t be a bad idea to sell and rebuy the wagon. I can’t guarantee its needed, can’t guarantee you won’t have any issues if you don’t. Arms now have to be unfolded (another fix by NcRaiders) to start the machine (more realistic). Obviously you can’t pick up material with arms folded now. Added sound to arm motors while unfold/fold. me gusta mucho el mod pero estaria genial con una capacidad de 8 o 10 millones de litros, asi se me queda pequeño. estaria muy bien que lo pondriais con una capadidad muy alta.